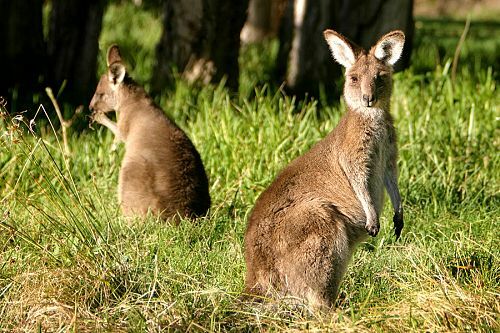 We get asked all the time for an Australian vacation that gives you the best taste of this fabulous country. 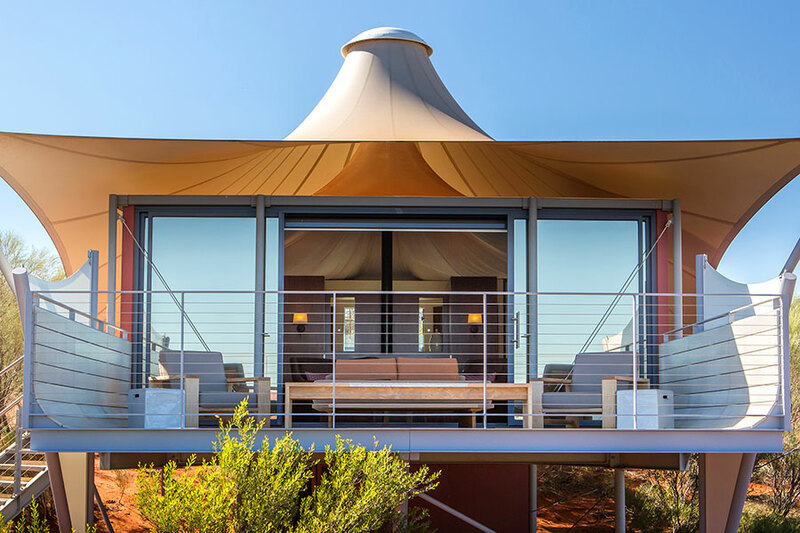 This Australian Vacation: A Once-In-A-Lifetime Trip is the perfect bucket list vacation to Australia. We planned this trip for some mates in Chicago who wanted to see the Great Barrier Reef, the Outback, Sydney, and wildlife. They started their Australian vacation in the Daintree Rainforest, the world’s oldest living rainforest, at Silky Oaks Lodge. There, they stayed in a luxurious treehouse on the river, toured the ancient rainforest with local guides, and enjoyed the fabulous spa. Then they moved onto Port Douglas, where they spent a day snorkeling in the one and only Great Barrier Reef and had a day at leisure to explore the city’s fashionable shops and restaurants. Continuing their Australian vacation, they traveled to the Outback and the sacred lands of the Anangu people. 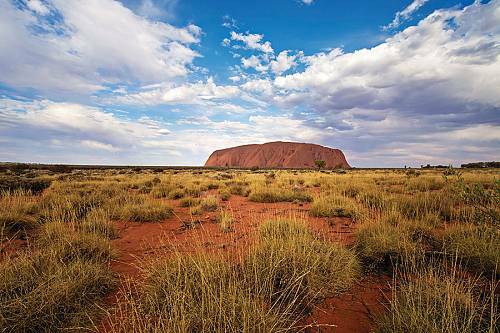 Uluru, or Ayers Rock, is a massive natural formation in Australia’s Red Centre that is sacred to the native population. 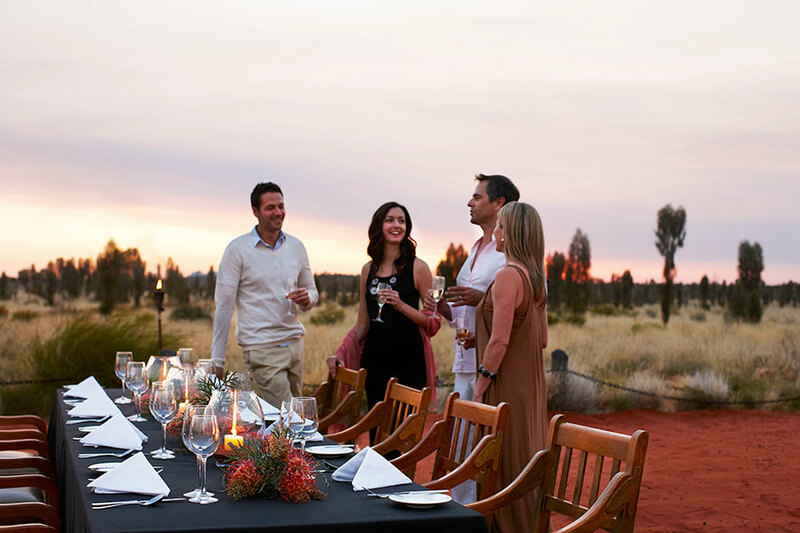 They stayed in a luxury tented property, explored Uluru-Kata Tjuta National Park with the help of expert guides, had a fabulous dinner under the stars, and rode a camel at sunrise to see the magnificent changing colors of Uluru. Of course, they ended their Australian vacation in spectacular Sydney. They stayed in the 5-star InterContinental Sydney with breathtaking views of Sydney Harbour. They had plenty of free time to explore Sydney, but we also arranged some unique excursions for them. They did a twilight Bridge Climb all the way to the top of Harbour Bridge for the best views of the city; enjoyed a tour, dinner, and performance at Sydney Opera House; and took a full-day tour of Sydney’s surrounds to meet iconic Australian wildlife in its natural habitat. After seeing all the highlights of Australia, it was time for their Australian vacation to come to an end. They were transferred to the airport to begin the journey home. Welcome to Australia! Arrive at the Cairns airport and board your transfer to the Daintree Rainforest while enjoying the views and spectacular coastal scenery on the Captain Cook Highway. 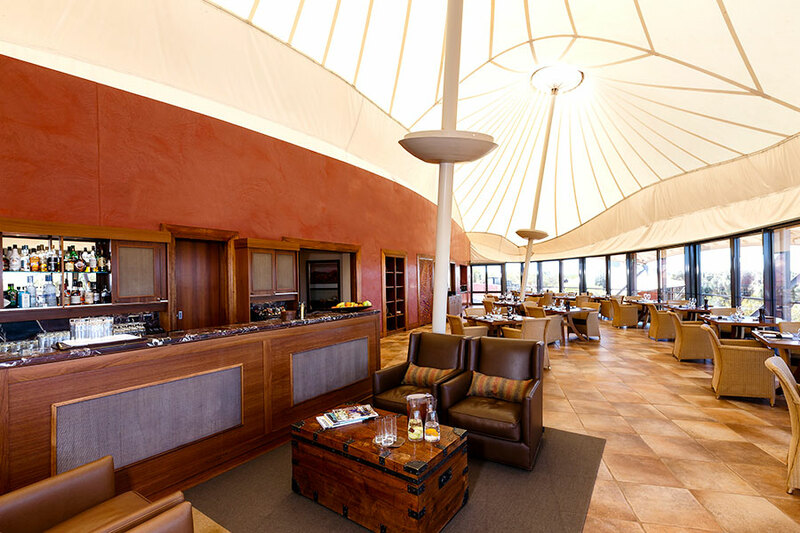 You will arrive at your home for the next 2 nights, Silky Oaks Lodge. Spend the night in your personal, luxury treehouse. Today, enjoy a full day out with your highly knowledgeable guide to travel into the heart of the Daintree Rainforest, one of the oldest rainforests in the world and a UNESCO World Heritage Site. 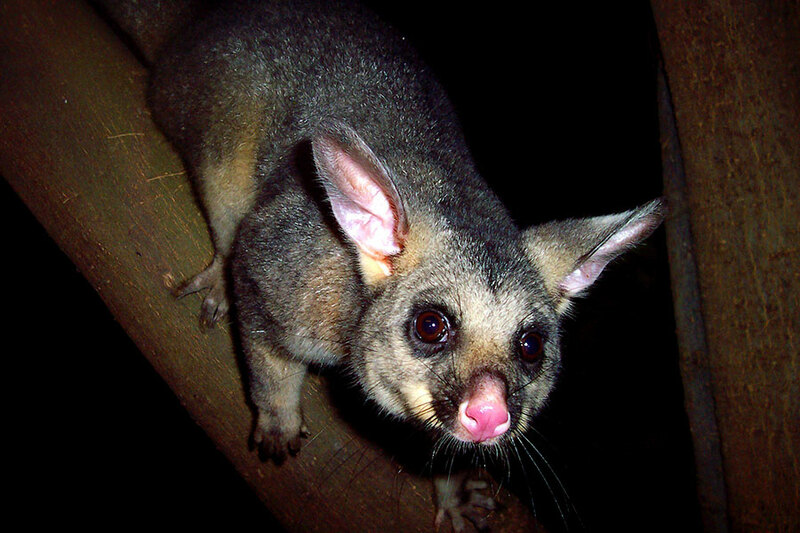 Seek out wildlife and birdlife unique to the region, and cruise along the Daintree River before seeking out the deepest part of the rainforest. You’ll also visit the place where the “rainforest meets the sea,” feeling like Robinson Crusoe as you step onto the lonely sand with rainforest canopy overhead. Leave your home in the rainforest and head south to the charming seaside town of Port Douglas. The relaxed village displays a vibrant atmosphere and serves as a gateway to the Great Barrier Reef. 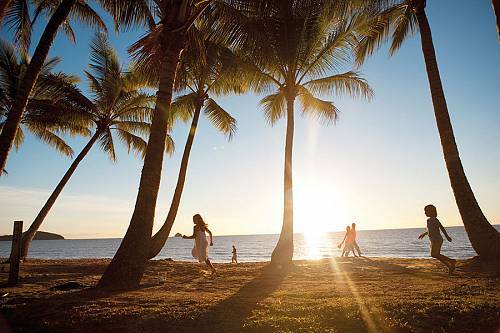 Soak up the sunshine on Four Mile Beach and stroll Macrossan Street, enjoying the village shops, galleries, historic buildings, and the seaside Port Douglas Sunday market. Enjoy dinner at one of the many outdoor cafes. 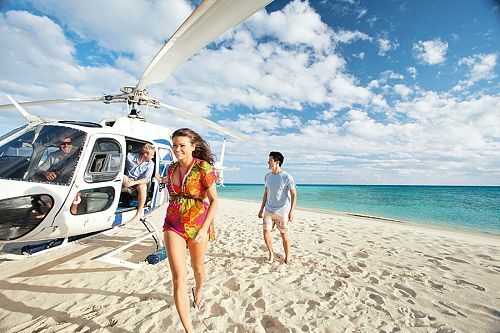 Today is a magical experience as you explore one of the Seven Wonders of the World, the Great Barrier Reef. 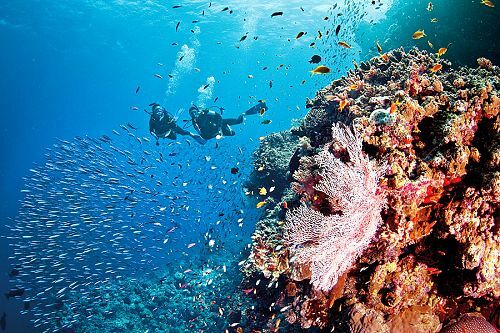 Your full-day diving or snorkeling trip (lunch included) will take you to several locations on the reef, where you will have plenty of opportunities to swim among the colorful sea life and magnificent coral that makes this one of the top diving destinations in the world. Enjoy a day of leisure in Port Douglas. 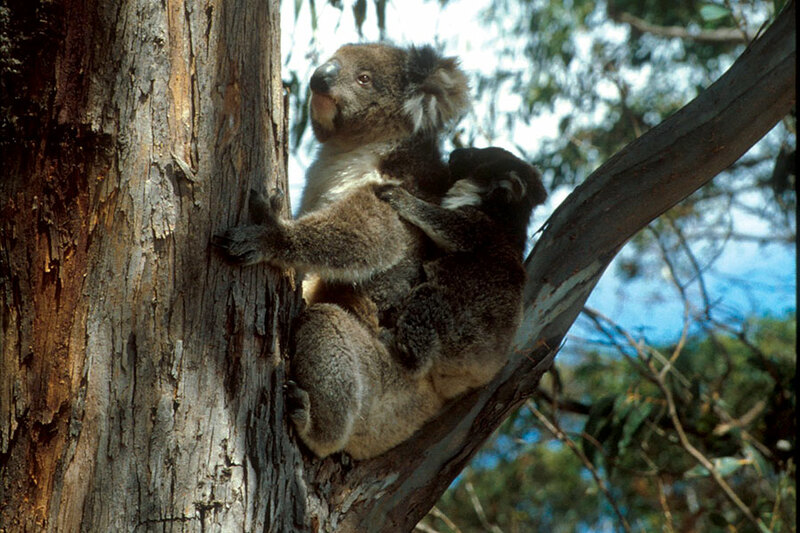 Relax on the beach, shop the boutiques of Macrossan Street, visit the Wildlife Habitat to get up close and personal with a koala, or get active with a white water rafting or kayaking trip. 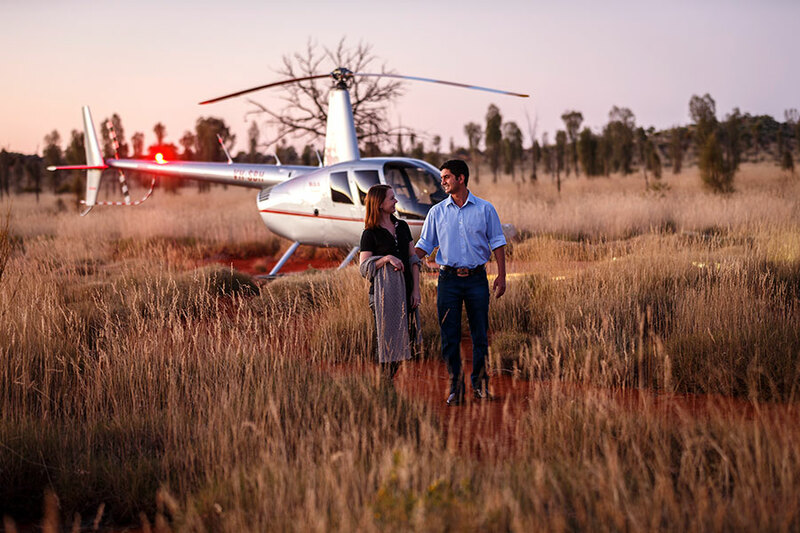 Transfer back to the Cairns Airport, where you will catch your flight to Ayers Rock/Uluru. 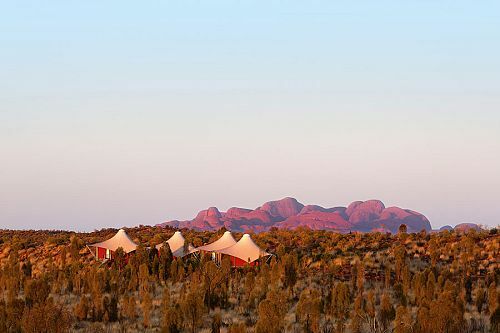 You will arrive at Longitude 131, a luxury wilderness camp at the gateway to Uluru-Kata Tjuta National Park. 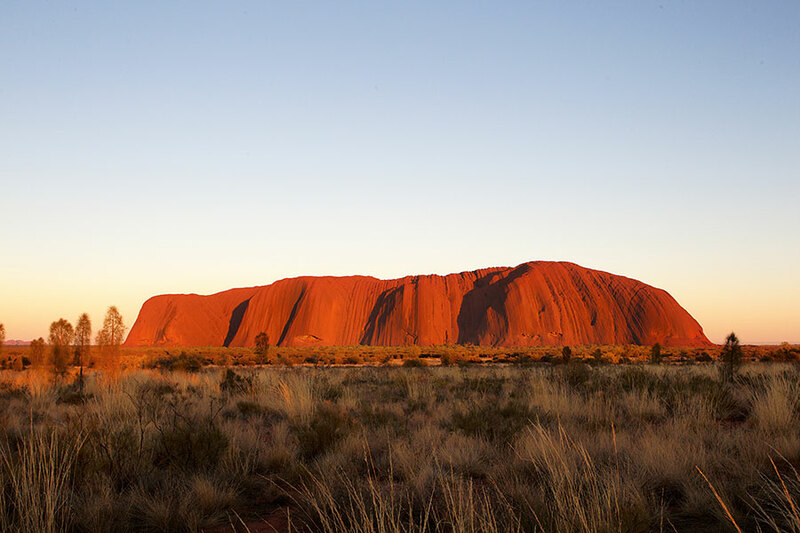 After settling in, catch your first glimpse of “The Rock” and its ever-changing colors as you learn about the importance of Uluru to the aborigine culture. 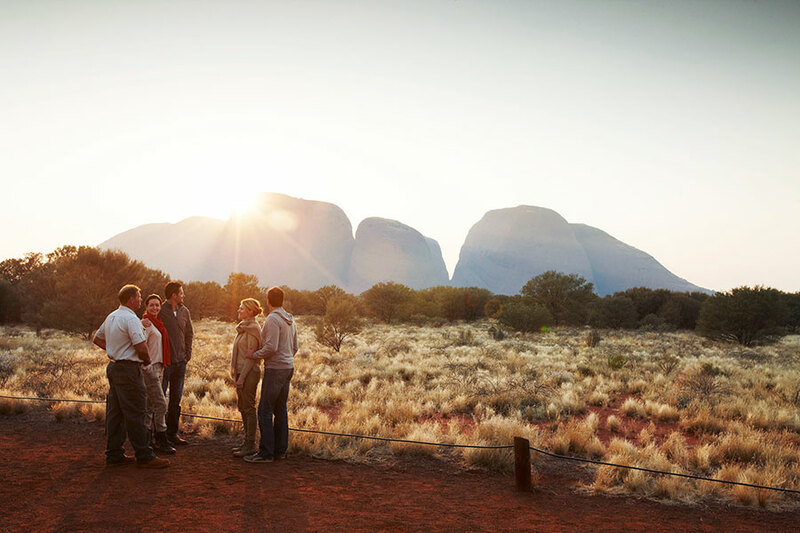 This morning, you will visit Kata Tjuta, beginning with a guided tour of Walpa Gorge, where the natural history of Kata Tjuta is explained in great detail. Learn how eons of weathering and continental upheaval have created the interesting rock formations seen today. 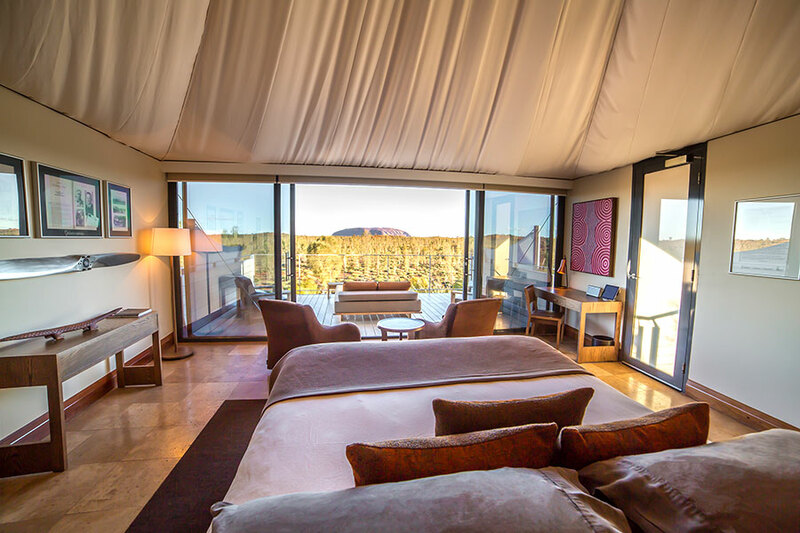 This afternoon, relax in your luxury tent or take the opportunity to enjoy an optional tour, such as a camel ride, Harley ride, or helicopter tour over Uluru and Kata Tjuta. 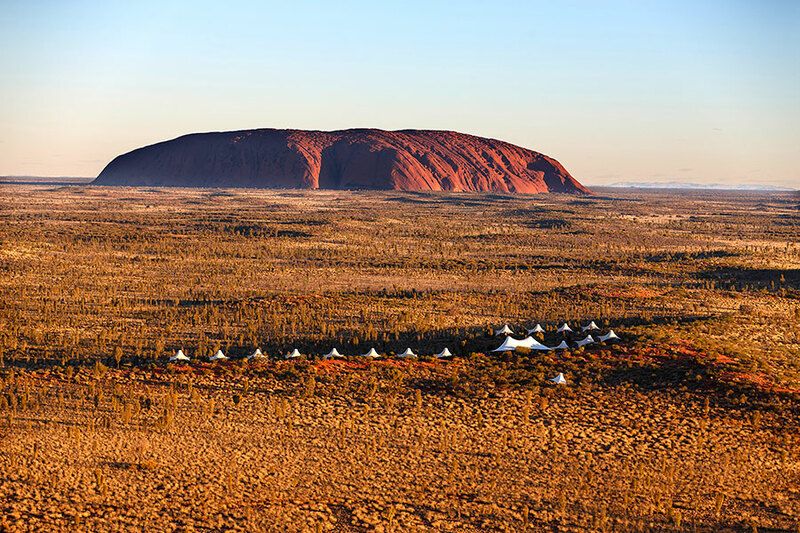 This evening, you will depart one hour before sunset, bound for the Uluru sunset viewing area. 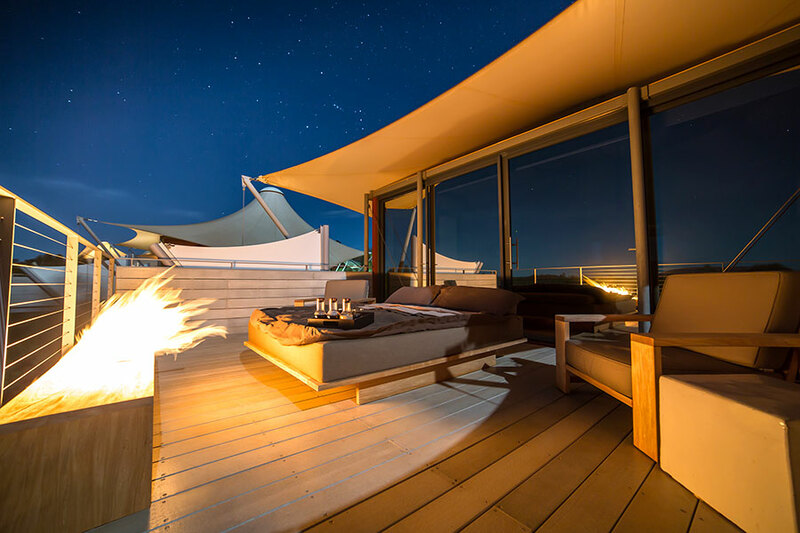 Then, enjoy a transfer to an outdoor dining venue, where you’ll have an unforgettable gourmet dining experience under the stars. 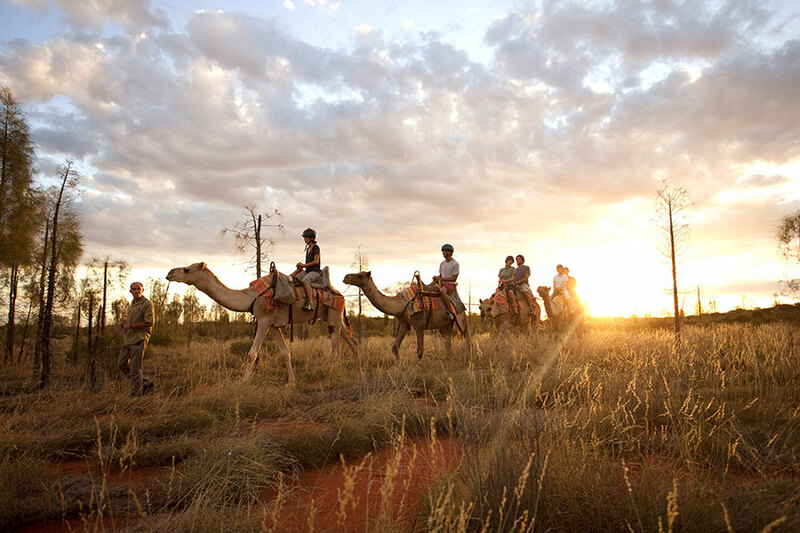 Rise early again today to view Ayers Rock from the back of a camel. 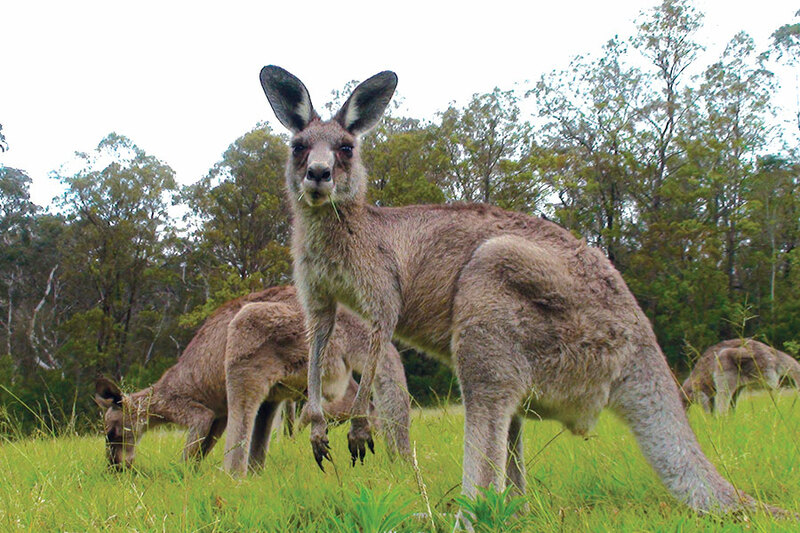 Enjoy this memorable experience as you bid farewell to Australia’s Red Center. Shuttle back to the airport, where you will catch a flight to Sydney! Cosmopolitan and aesthetically appealing, Sydney is a feast for the eyes with plenty to offer any type of traveler. Sydney is iconic in every way: the Opera House, the Harbour Bridge, the zoos and lively neighborhoods, Darling Harbour—all of it is delightful and worth thorough exploration. Your 5-star hotel awaits with a view of the famous Sydney Opera House right outside the window. Enjoy a day at leisure to explore the highlights of Sydney, including the Sydney Opera House, the Sydney Harbour Bridge, Darling Harbour, the Royal Botanic Gardens, Sydney Tower, Queen Victoria Building, Museum of Contemporary Art, and many more. This evening, participate in one of the most heart-racing activities in Sydney: climbing the Harbour Bridge! The climb takes you along the outer arch of the bridge on catwalks and ladders all the way to the summit for one of the most unique views of the city—440 feet above Sydney Harbour! 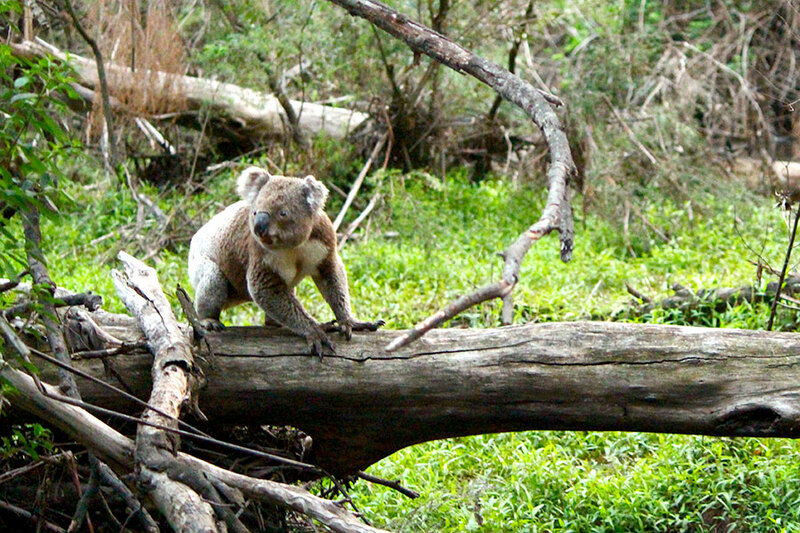 With an abundance of bushland surrounding Sydney, you don’t have to go far to experience Australia’s native bush and unique wildlife—but you do have to know where to look. 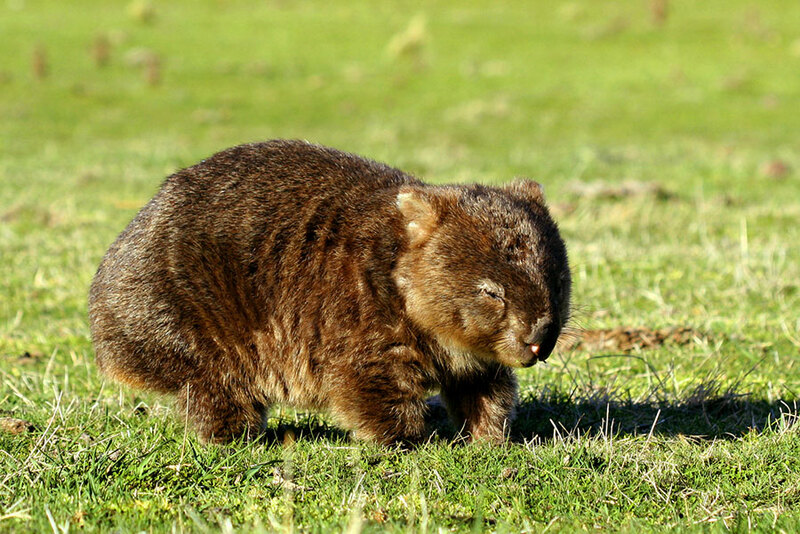 Today, with the help of a knowledgeable and passionate naturalist guide from Boutique Tours Australia, you’ll embark on a wildlife tour searching for Australia’s charismatic creatures, including kangaroos, wallabies, koalas, wombats, emus, possums, gliders, and platypus. Today is yours to explore Sydney at your leisure. Take a self-guided walking tour of The Rocks Historic District, ferry to Manly Beach, or shop the boutiques of Paddington. 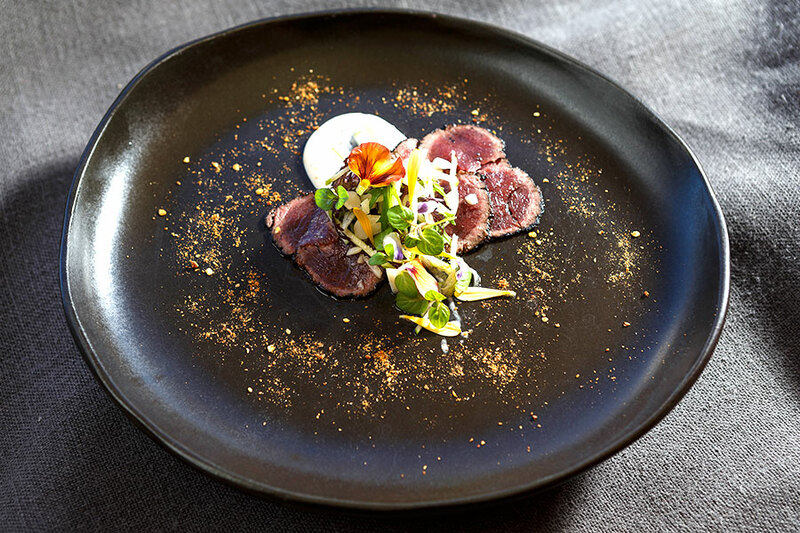 Save your energy for the evening, however, because you’ll have a guided tour of the Sydney Opera House, followed by a 3-course pre-show dinner at Aria Restaurant and a performance of the opera, ballet, or theatre at the Sydney Opera House. Head to the airport today to catch your flight back home. Leave with memories to last a lifetime knowing that you have experienced the highlights of the land Down Under! If you’ve overslept a little and haven’t got time for breakfast before you head out for your day on the reef, worry not! The crew on the Silverswift dive and snorkel excursion will have a scrumptious light breakfast waiting for you on board—perfect to get your energy levels up for your underwater adventures. Be prepared to get wet snorkeling or diving some of the best sites on the Great Barrier Reef. We recommend wearing the body-clinging lycra suits available onboard for sun protection (our tropical sun has quite a bite) and added protection from seasonal marine stingers.